Happy Body has positive, energetic, motivated, inquisitive, community-oriented and compassionate instructors and practitioners on its team. We are confident you will receive the highest quality care, attention, and instruction from all of our practitioners. We are comfortable scheduling you interchangeably across our exceptional team, knowing that there are often optimal matches of personality and approach. We advocate experiencing the diversity of styles available in our studio as you deepen and expand your movement awareness. We are ready to help you enjoy actively cultivating happiness in your body! Jessica Mark’s greatest love is working with and learning from the body. The vision of Happy Body was created from a yearning of a welcoming and supportive space for movement, health, and wellness for all bodies. “When we feel comfortable, can find support, and live with awareness in our own physical bodies, we cultivate a greater balance and resilience within ourselves, greater peace in our communities, and ultimately, find our harmony within the world we inhabit.” Jessica is a Licensed Massage and Bodywork Therapist (NC #9944) in Ortho-Bionomy® as well as a certified Pilates instructor and Ortho-Bionomy Instructor. Jessica complements her primary practices of Ortho-Bionomy and Pilates with studies in Polarity Therapy, Gyrokinesis®, Trauma Therapy, Pre-Post Natal Pilates, and Body-Mind Centering®. She believes in the truth and integrity of the body and is passionate about the blending of touch and movement. In her practice and instruction, Jessica works to bridge the gap between the language of the body and the language of the cognitive mind so that clients may find freedom and ease in their physical being. Jessica is a happy mama to Sydney and Jonathan, and a happy partner to husband, Rich. Richard's greatest love is assisting Jessica, ensuring all of her needs and wants are met at all times. Amy Archinal is certified as a Yoga Therapist by the International Association of Yoga Therapy and has her RYT-500 with Yoga Alliance. She has taught yoga and practiced Phoenix Rising Yoga Therapy with individuals and groups since 2007 and had a long time personal practice of Taoist Yoga and Hatha Yoga prior to that. She also mentors students seeking yoga therapy certification and is a Reiki Master. The experiences she offers promote embodied mindfulness and deep inner listening in and through the body. She has extensive experience working with seniors and Veterans and specializes in restorative yoga and customizing yoga practices to meet individual needs. She is a visual artist with over 25 solo exhibits, a foodie and a lover of nature. Mary Beth has worked in the Fitness Industry for over 15 years. She discovered Pilates while working as a personal trainer and began introducing the method to her clients. Mary Beth became a Certified Stott Pilates Instructor in 2004. She furthered her studies with Polestar Pilates and still enjoys learning various forms of exercise and movement. She also holds certifications with ACSM as an Exercise Physiologist, TRX Suspension Training, RYT200 Hatha and Integral Yoga, and as a Post Rehab Breast Cancer Specialist with the Pink Ribbon Program. Mary Beth enjoys helping people discover a healthy lifestyle and happy body! She believes workouts should be fun, educational, and challenging. Nathalie found her yoga roots whilst working in environmental education on a remote corner of Lantau Island, Hong Kong. It was here that she felt a sense of grounding like never before - and experienced the joy of incorporating yoga into her everyday life. Since then she has taught yoga to backpackers in Sweden, inner city workers in London, and now a wide array of students in Asheville. Nathalie’s classes integrate embodied movement, balance, core work and pranayama, interwoven with themes that shift with the seasons and phases of the moon. Through yoga, her hope is to empower you to connect into a sense of wholeness and wellbeing. She completed her 200hr yoga teacher training at Asheville Yoga Center, and offers outdoor yoga events with her brand, Inner Wild Yoga. Kara began her Pilates career in 2002 as a student of Marianne Adams at Appalachian State University. She graduated with a BA in Creative Writing but decided to take the “movement” path into life. Kara became a certified Pilates mat instructor in 2004 and a licensed massage therapist in 2005, practicing around the Asheville area. Her family moved to NY state several years later where Kara trained with Juliet Harvey (at that time of Power Pilates out of New York City) and became comprehensively certified on all Pilates equipment. Kara believes that ability and age are nullified when it came to having passion for happy and healthy minds and bodies. Kara is now a Pilates Method Alliance certified teacher, a Pilates teacher trainer, a Buff Bones certified instructor, and a practicing massage therapist. 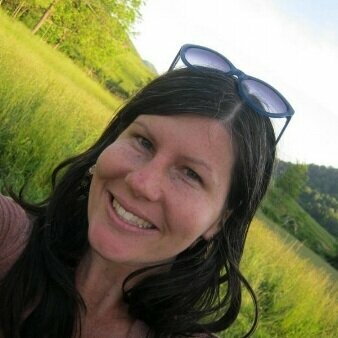 Kara lives in East Asheville with her two young sons, her husband, and her cat. She also loves to run for fun, write nature poetry, and grow beautiful flowers for her friends! Alice Jane grew up playing on her mother’s reformer and has been a lifelong student and lover of Pilates. She was raised in South Florida and moved to New York to pursue theatre after receiving her BFA. She found that she had developed injuries and habits from her hypermobility and misalignment in dance and yoga, intense dance training in college, and physically demanding rehearsals and show schedules. She is so thankful for the pilates method for helping her to heal and strengthen her body. Alice Jane relocated to Asheville 8 years ago and continued studying pilates all throughout her pregnancy and postpartum. She credits this incredible work to her seamless home birth experience. She is the mother to a five year old daughter, is still acting and working in voice overs and commercials, and is a dancer with Trillium Dance Company based in Asheville. Alice Jane believes that we all have the right to pain free healthy bodies so that we may fully embody our true purpose and enjoy the abundance of gifts life has to offer us. She is Balanced Body Comprehensive Certified Pilates Instructor. Paige has been practicing yoga and Zen meditation for nearly 20 years. She completed her teacher training at Asheville Yoga Center, is Yoga Alliance certified, and holds advanced certification in Therapeutic Yoga. She specializes in gentle and restorative styles, combining movement, mindfulness, and breathing to help students tap into their innate sense of well-being. In private sessions, she’ll work with you to clarify your wellness goals, address your needs, honor your limitations, complement other care you may be receiving, and empower you to relax into a sense of health and wholeness. Whether in group classes or one-on-one, Paige’s warm and welcoming style will invite you to stretch, strengthen, balance, move energy, release stress and tension, breathe easy, and cultivate peace and joy you can take with you back into the world..
Renee Giles is a certified STOTT PILATES® instructor. She graduated with her BFA in dance and choreography from Ohio University. Following that, she moved to Asheville, NC to continue her studies of the body and anatomy in massage school receiving her massage license. Renee has experienced three car accidents during her life, and Pilates was the cornerstone of her successful rehabilitation. After many years of studying the body, movement and anatomy, Renee decided to finally become a Pilates instructor and received her training in Charlotte, NC at the STOTT center in 2008. She now loves having the ability to share her passion of movement with awareness of the body, breath, and spirit. Christa is passionate about living life in deep connection with nature, spirit, and community and loves helping others find ease, connection, and peace through bodywork and aromatherapy. She has studied and practiced massage and herbal medicine both locally and internationally for over 18 years. Inspired through her studies of traditional indigenous healing modalities and ethnobotany, she earned her B. S. in Anthropology and followed her heart to volunteer abroad and learn directly from diverse cultures. She came back to her roots in these mountains in 2000 and graduated from the North Carolina School of Natural Healing in Traditional Herbal Medicine and Massage Therapy. Mallory has been teaching Pilates since 2006, she is fully certified through both STOTT PILATES® and Pilates Method Alliance (PMA). Mallory works with a wide range of clients from injuries and/or special conditions to athletes. She understands that exercise is not a one size fits all, that what works is smart, functional movement tailored to that individual’s needs. Mallory’s positive, energetic personality creates a welcoming and fun workout environment. Seeking to expand her knowledge to other forms of movement, Mallory has also earned her certification as a group fitness instructor with American Council on Exercise (ACE), is a certified Core Barre instructor with Systems of Smart Movement®, and is a certified level 1 Gyrotonic® instructor. Other studies include Active Isolated Stretching (AIS), Core Reform, Core Suspend and TRX. Mallory’s ambition to teach and spread the knowledge of smart movement has led her to become a Master Instructor Trainer for Core Suspend and an Instructor Trainer for Core Reform with Systems of Smart Movement®. Mallory is passionately driven to understand and teach human form, function, movement, and biomechanics. As an Ortho-Bionomy® practitioner and therapeutic yoga instructor, Alex Moody is passionate about providing these supports to help facilitate comfort, ease and self-awareness for her clients. She specializes in acute and chronic pain management. In her Ortho-Bionomy sessions, she provides education for self care exercises integrating therapeutic yoga and Ortho-Bionomy techniques. This allows clients to see longer-term results as well as empowers them to understand and be in relationship with their pain. She is adept at working with "highly sensing" clients since she has had chronic migraine pain in the past due to overwhelm in her nervous system. She understands how to meet these clients with empathy and intuition so that they can move resiliently through life. Alex Moody has lived in North Carolina for 14+ years and completed her 500 hr yoga therapeutics training at Asheville Yoga Center. In her previous life, she majored in creative writing at Appalachian Sate University, achieved her master's in higher education administration from the University of Virginia, and was a career counselor for over 5 years. Ashton arrived in Asheville by way of Austin, Texas where her love of live music and tacos was born. After working in the hustle and bustle of the technology industry as an interaction designer, she moved to Asheville to be closer to family and explore a career focusing on embodiment and wellness. When she was introduced to Happy Body, it became clear that the compassionate community here and the opportunity to learn about Pilates, Yoga and Ortho-Bionomy as a path to wellness was a perfect fit! She is passionate about the power of mindfulness, body awareness and movement to change the brain, heal the body and create a healthier life. As Happy Body's administrator she hopes to keep things organized and running smoothly, aid staff in creating fun and educational workshops, discover new opportunities for community outreach and share the positive outlook and energy that Happy Body inspires! Beth Salman discovered Pilates in the mid 1990s when she walked past a newly opened studio on her way to work one morning. Hooked, she never looked back and was fortunate to train with some of the best Pilates instructors in Chicago. An enthusiastic and curious mover, Beth has danced, hiked, biked and cartwheeled her way through life and appreciates how Pilates has supported and enhanced at all those activities including the sitting she does for her job. She looks forward to starring in a viral 3D hologram still doing teasers as a 90 year old. Beth is BASI comprehensive certified instructor. Lori has been a Massage Therapist and Bodywork practitioner since 1994. Her years of experience have allowed her to experience many types of people and personalities with a variety of abilities and disabilities. As an empath, she has been able to hone her skills of discovery that help her in determining underlying complaints. Education has been a lifelong pursuit and she holds a B.A in Sociology from Arizona State University along with a multitude of other educational experience including Teaching, Life Coaching, Yoga, Massage Therapy and Nursing. Anna has been involved in many and varied types of movement throughout her life, from gymnastics to ultramarathon to Krav Maga self defense to kettlebells to high-intensity weightlifting workouts. She chose to carry this insatiable curiosity and passion for human movement into education, obtaining both a Bachelors and Masters degree in Exercise Science. When she began taking Pilates, she became captivated by it as the perfect centering, corrective, and balancing component to all other forms of exercise, and obtained her instructor certification through PEAK® in 2014. Anna is certified as a Personal Trainer, Health Coach, and Group Fitness Instructor through the American Council on Exercise, a Corrective Exercise Specialist through the National Academy of Sports Medicine, and a Certified Strength and Conditioning Specialist, in addition to being a full-time instructor of Health and Fitness Science at A-B Tech Community College. Anna uses a comprehensive and individualized approach from her extensive knowledge of human movement for her clients to allow them to move and perform optimally. Anna is honored to be a part of the Happy Body family and looks forward to being a source of education and empowerment in this journey we share in continually evolving to be the healthiest and most vibrant version of ourselves! Courtney found her love of Pilates and saved her body while training at Beacon Pilates in Beacon New York. Courtney has lived all over the United States experiencing and learning in all areas she could. While growing up in Northern Georgia, She found a passion for basketball, softball and track. In Florida, surfing and kayaking, and in Oregon she added skiing and whitewater rafting to the list. With her love of sports, and a refusal to give any less, she suffered numerous injuries and and a lifetime of pain. Many specialists, doctors, chiropractors and physical therapists later, Courtney was finally diagnosed with Ehlers Danlos syndrome. Shortly after her diagnosis while living in New York she found her Hail Mary with Pilates and has been major injury free ever since. Courtney became a certified Pilates mat instructor in 2016 under Juliet Harvey of Beacon Pilates. During this training Courtney met Kara Dillow of Happy Body. In early 2018 Courtney started her training under Kara to gain her comprehensive certification on all equipment . Courtney has a passion to teach and show people that Pilates can keep your body strong and stable, relieve chronic pain, and help reduce the risk of major injuries. Courtney has a background of varying educations and studies including but not limited to, Horticulture, Patisserie & Baking, Sustain-abilities/ Environmental Biology, Painting and Music. She also has dreams of playing rugby and roller derby, but knows that’s probably not one of her best ideas! Through ancient traditions of holistic medicine, Graham offers holistic consultations, sessions, and classes to support truly whole and integrative well being. Her work is inspired by a deep relationship with the natural world and commitment to the possibility of full and vital living through this relationship. Graham is an integrative practitioner, offering her experience as a Registered Herbalist with the American Herbalist Guild, stone medicine practitioner and holistic healing educator. Through formal studies at Blue Ridge School of Herbal Medicine, Appalachia School of Holistic Herbalism, Clarity Stone Medicine, Xavier University, and beyond, she’s widened the applications of earth medicine through deep ecology, energy work, subtle bodywork, embodiment, meditation and yoga. She integrates these disciplines along with her own intimate relationship with the earth and earth allies to offer experiences that widen perspective while sustaining grounded support along the healing journey. In addition to traditional herbal consultations, Graham holds space in workshop, ceremony, stone consultations, and stone and energy sessions to cultivate holistic well being and deep healing. She creates a welcoming, open-minded and heart-centered environment for going deep and opening into the wisdom of connection. Graham joined the Happy Body team as an instructor for Outreach Yoga in 2012 and treasures the generous, welcoming, and intentional space the community offers to support truly whole wellness.